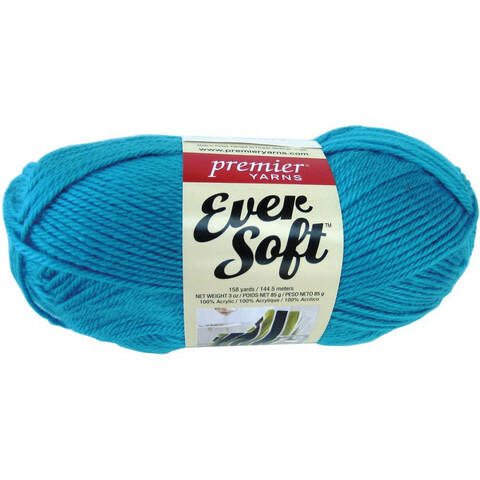 Ever Soft® Yarn from Premier® is a light-worsted weight oh-so-soft acrylic perfect for a wide range of projects. 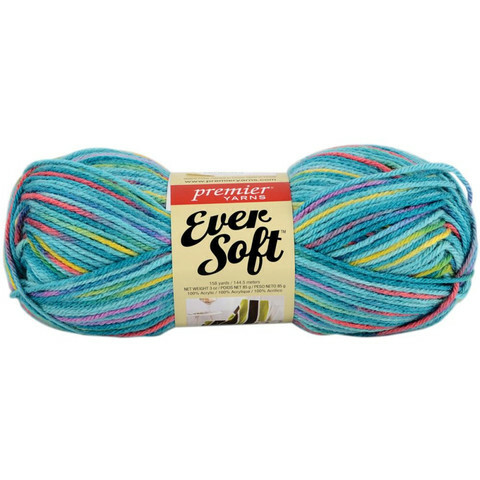 With its multiple solids and multi-colors, this brilliant and lustrous yarn offers great tonal ranges ideal for afghans – and a seasonal palette of brights and pastels perfect for year-round garments for babies, kids, and adults! 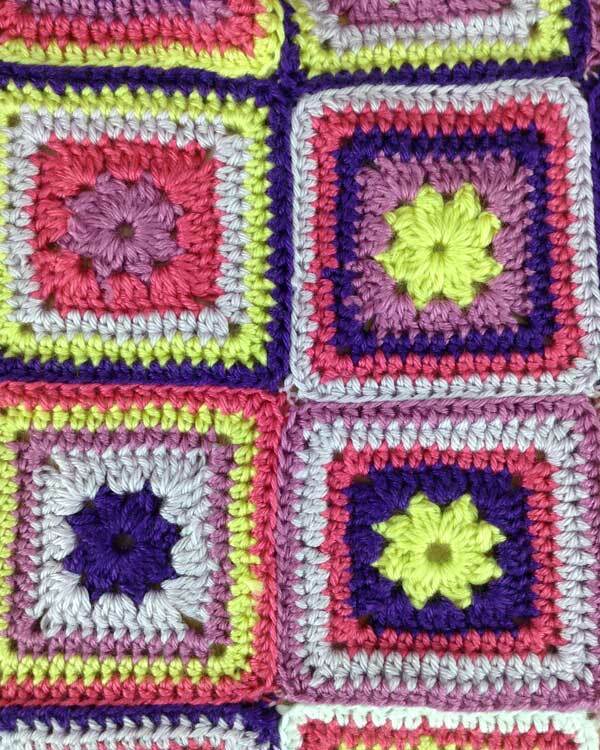 Multiple colors give this Baby Squares Blanket visual appeal. 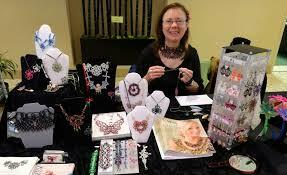 Just one of many color Ever Soft color palettes. 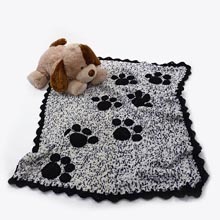 Choose six of your favorite colors of Ever Soft® Yarn, then crochet motifs using those colors in various combinations to create this beautiful blanket. 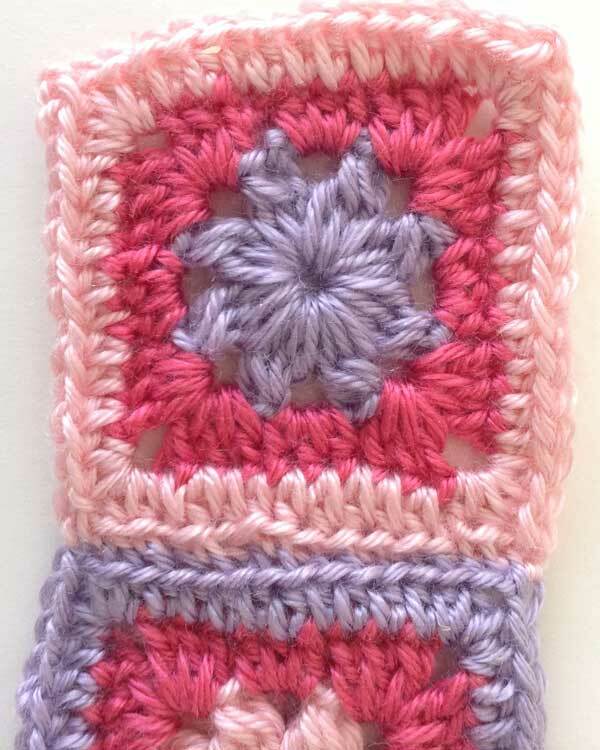 The pattern for Baby Squares Blanket can be found here. Close up of Baby Squares. Beautiful colors, aren’t they? 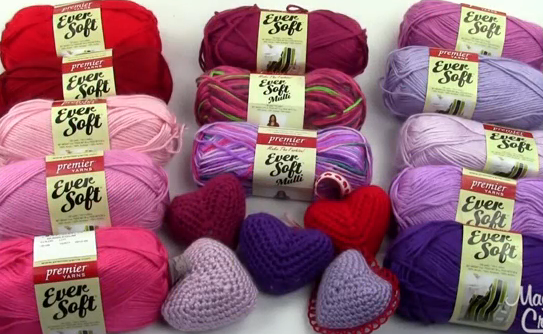 Many crocheters enjoy making baby blankets for various hospitals and charity organizations. 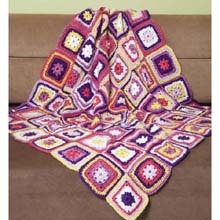 Hexababy Blanket is another great baby blanket pattern you may enjoy.